We would like to inform our dear guests that the Restaurant Grec Athena will be closed on the 24th and 25th December 2018 (Christmas Eve and Day) as well as on the 1st of January 2019 (New Year’s Day). We are open on St Stephen’s Day / Boxing Day (26/12/2018) as well as on the New Year’s Eve / Silvester (31/12/2018). We would like to inform our dear guests that the Restaurant Grec Athena will be closed on the 24th and 25th December 2017 (Christmas Eve and Day) as well as on the 1st of January 2018 (New Year’s Day). We are open on St Stephen’s Day / Boxing Day (26/12/2017) as well as on the New Year’s Eve / Silvester (31/12/2017). Athena Team wishes you and your families Merry Christmas! Let’s welcome 2017 with a big smile and let’s hope to all the people in this world live in Peace and with Love! We are happy to announce that the Restaurant Grec Athena is now the 3rd best restaurant in Luxembourg City based on 358 Reviews on TripAdvisor.com (up form the 4th position). We would like to thank our customers for their positive feedback leading to this score and ranking! We are looking forward to welcome you again in our restaurant! From Monday the 1st of August 2016 and every Monday the Restaurant Grec Athena will be closed. We are happy to announce that it we received a TripAdvisor® Certificate of Excellence for 2016 for a third year in a row. 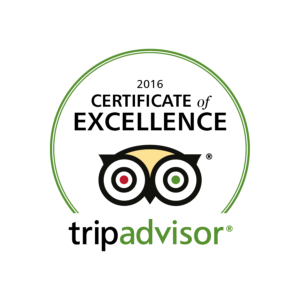 Currently, Restaurant Grec Athena is the 4th best out of 602 Restaurants in Luxembourg City based on 321 Reviews on TripAdvisor.com. We would like to thank our customers for their positive feedback leading to this score and ranking! We are looking forward to welcome you again in our restaurant! 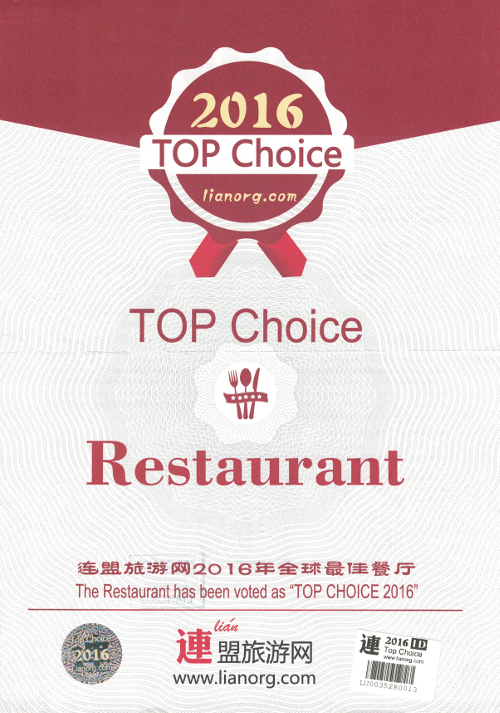 Due to its popularity, our restaurant has been voted as “TOP CHOICE 2016” by LIANORG. According to Mrs. Rita CHEN, Communications Manager of www.lianorg.com, our exquisite menu and friendly service have received positive reviews by LIANORG judges and Asian visitors leading to the successful qualification in their “TOP CHOICE” ranking system. The “TOP CHOICE” ranking system includes four independent evaluation categories: restaurants, hotels, stores and tourist attractions. A unique medal is designed for each category and is awarded once a year. Every year, all qualified medalists already selected in the previous year are re-evaluated, and are added to the new qualified candidates of this year. On www.lianorg.com, each restaurant enjoys an individual webpage (see Restaurant Grec Athena here…), where tourists can find useful practical information such as our contact details, official website, business hours, GPS map, photos etc. The automatic positioning system of our GPS map can be used by tourists’ mobile phones and laptops to locate the address of our restaurant and offer detailed navigation direction. It is necessary to note that our restaurant has been also voted as “TOP CHOICE 2014” and “TOP CHOICE 2015” by LIANORG. We would like to thank our customers for their positive feedback, especially our customers from Asia and LIANORG for this award! 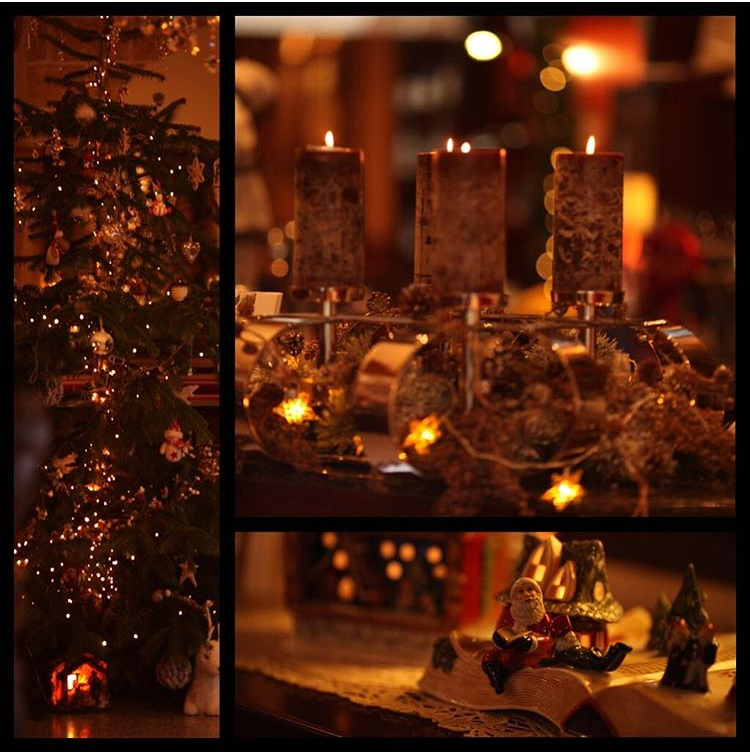 We are looking forward to welcome you again in our restaurant! All our menus are available for takeaway!